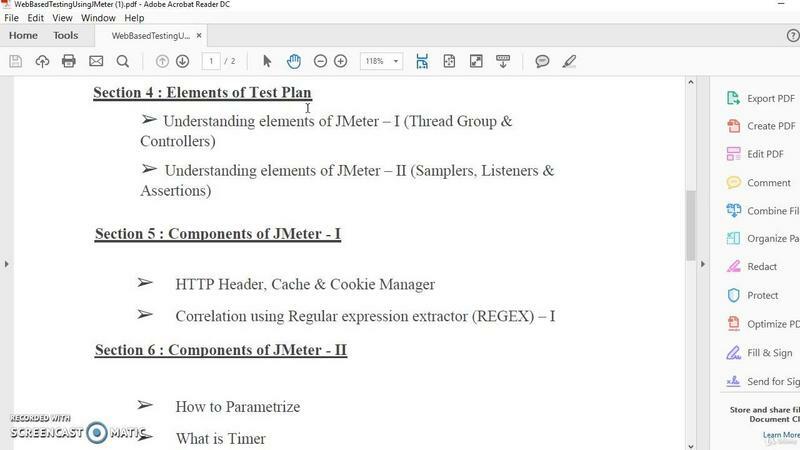 Best Course for learning Web Testing using JMeter | Free eBooks Download - EBOOKEE! Posted on 2019-01-05, updated at 2019-04-12, by fubber. 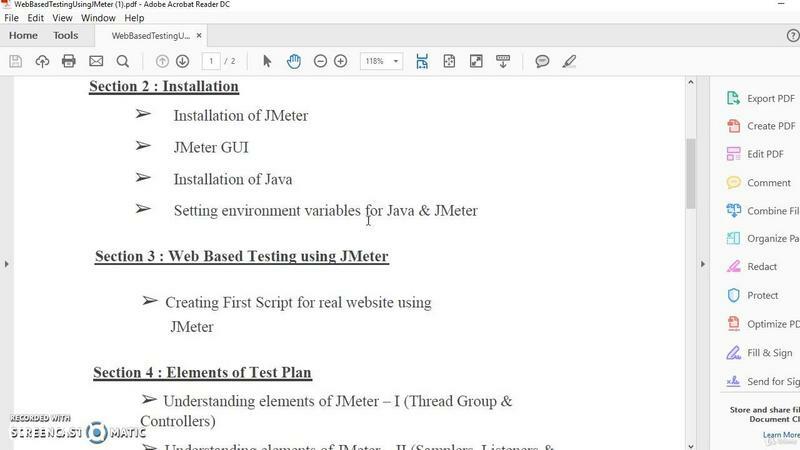 This course will give you idea of real performance testing world. It will go through the basics of each concept. 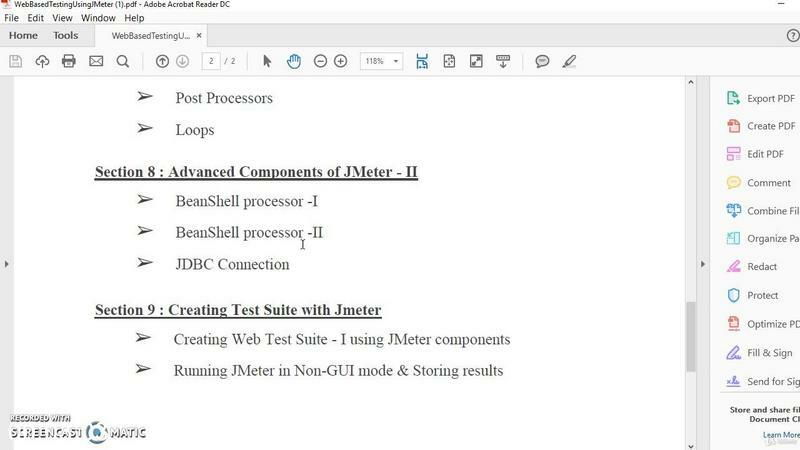 End to End Performance testing using tool - JMeter is discussed. This course goes from basic to advanced level. You can learn some key concepts which are not explained with good examples at other places. I have tried to keep examples basic so that everyone can understand. 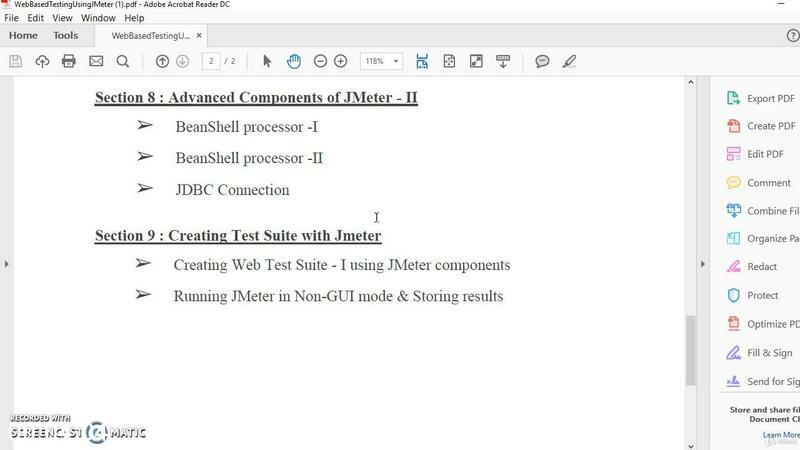 At the end there is a final project that can help you to learn all the components learnt in the course in single test suite. This gives you close understanding of real world projects. Join to enhance your skills and get an edge by learning some tools in easy manner. No comments for "Best Course for learning Web Testing using JMeter".